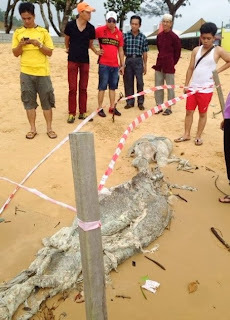 Well, it looks like 2013 end by giving us another decomposing sea carcass of some sort. 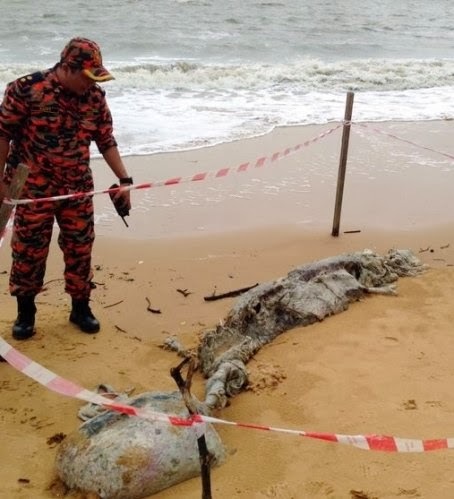 On the 28th of December these rotting remains were discovered on a beach in Malaysia. The length of the mystery fish was said to be about 9 feet long, most locals think this is the remains of either a small whale or dolphin. This was found by a morning beach walker. What some see as odd is the weird bump on the remains and others say the skull is odd looking. Could it be some rare or undiscovered animal? Authorities are trying to find out. 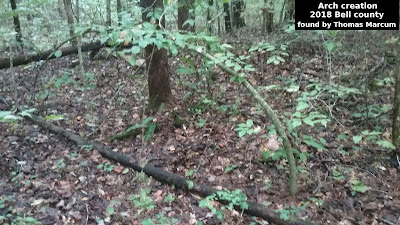 Testing is being conducted to determine if the remains are that of a known creature or if it is perhaps a new species. Here is another photo of the remains, one in which it appears a small group of onlookers are taking an interest in the discovery. This seems to happen pretty often, a decomposing something washes up on a beach and due to the bad condition of the animal it is unrecognizable. Normally stuff like this turns out to be a known animal and the next question is what killed it. 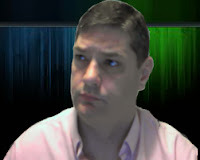 It is still interesting and gives us something to talk and speculate about.